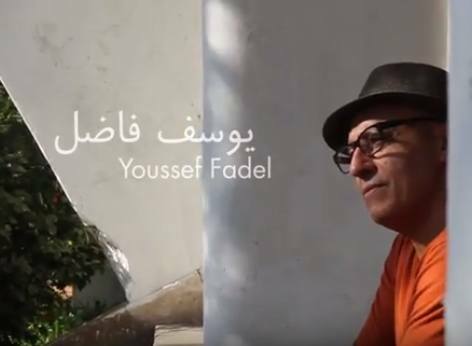 It’s as a playwright that Youssef Fadel appears at this year’s Paris book fair, Livre Paris (March 24-27), where Morocco is the guest of honor. Yet the Casablanca native is also a celebrated novelist: His A Rare Blue Bird that Flies with Me won the 2014 Prix du Maroc du Livre and went on to be shortlisted for the International Prize for Arabic Fiction. An earlier novel, Hashish, won Morocco’s Grand Atlas Prize in 2000. 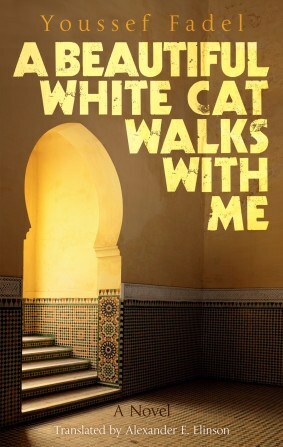 Strangely overlooked is Fadel’s novel A Beautiful White Cat Walks With Me, published in Arabic in 2011 and now in artful English translation by Alexander E. Elinson. The book is set against the backdrop of war between Morocco and the Western Sahara, told in alternating sections by a young comedian who’s sent off to fight, and his father, who works in the palace as the king’s private jester. These two characters—who are both similar and opposite—could be fodder for slapstick. But Fadel plays it differently. The novel’s “comic” sections are discomfortingly tragic, while the tragic scenes are often darkly funny.